Custom motor controls is a huge part of what we offer as a company but there a number of ways in which custom controls can be delivered. 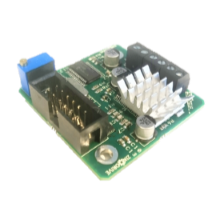 This page takes you through the options available to deliver a customised motor controller and is intended as a starting out point from which you can find out much more about how we can help get your project moving. The first and most obvious route to try is a custom programme. This can be installed on any stock controller and will enable you to customise the particular function of that controller to meet your criteria. The controller will still have the same power and general hardware restrictions but it is often possible to tailor this to your needs. The second broad option is to add a plugin board or modify the hardware of an existing controller. This works well if one board is very close to what you need but is not quite there. Simple changes include changing the power output, adding inputs or HMI outputs or changing the communication protocol. The third and final customisation option involves complete bespoke design – in other words, a brand new design that is unique to you. The flexibility of this approach enables us to deliver anything and everything you could possibly need from a controller. Current settings – limits can be adjusted and optimised for a particular motor. Communication settings – protocols can be altered, inputs can be setup in a range of different ways. This also goes for outputs which can also be altered. Safety Settings – maximum temperature and current settings can be altered. Alternative safety requirements – for example external sensor inputs can also be added. Speed range – maximum and minimum speed ranges can be set and can also be linked directly to certain inputs – for example 0-5V controls, UART or RS485. Presets – preset features such as accelerations and decelerations can all be altered to meet your requirements. Startup Sequence – startup can be custom programmed to cope with application specific issues (for example high inertia). Stop Sequence – this can be custom programmed to meet application specific requirements. Typical examples include suckback features on pumps to prevent dripping. Soft start – this can be programmed in to ensure a steady, consistent startup. Specific ‘trigger’ commands – it may be that you need to use an input to trigger a specific movement – for example a stepper motor moving a fixed number of degrees or carrying out a preset cycle. This can all be programmed in and triggered in whatever way you require. If a custom programme will not deliver the performance you need then the next port of call is usually to look at adding plugin boards or additional hardware to achieve what you need. This option represents a sort of ‘halfway house’ between custom programming and a full bespoke design. There is hardware redesign involved but it will not take anywhere near as long to achieve as a full custom design project would take. Power output changes – it can often be possible to change a controller’s power output whilst retaining large parts of the ‘control’ side of the design. This can enable a controller to deliver significantly more power than it may have done before. Alternatively it can be used to reconfigure the power handling away from low voltage, high current to higher voltage, lower current (or vice versa). 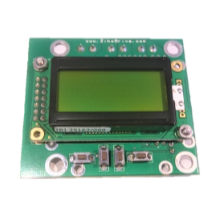 Add a communication protocol – plugin boards are one of the simplest ways of enabling a certain communication protocol to work with a standard board. This includes wireless. Custom sizing – existing motor controllers can be adapted to fit a certain envelope as required. Temperature range changes – if your project has a certain temperature range which is slightly outside of the standard range of controllers it may well be possible to adapt the design to meet your temperature requirements. Accreditation requirements – if your project requires a certain accreditation be met then this can also be addressed with a relatively quick redesign. 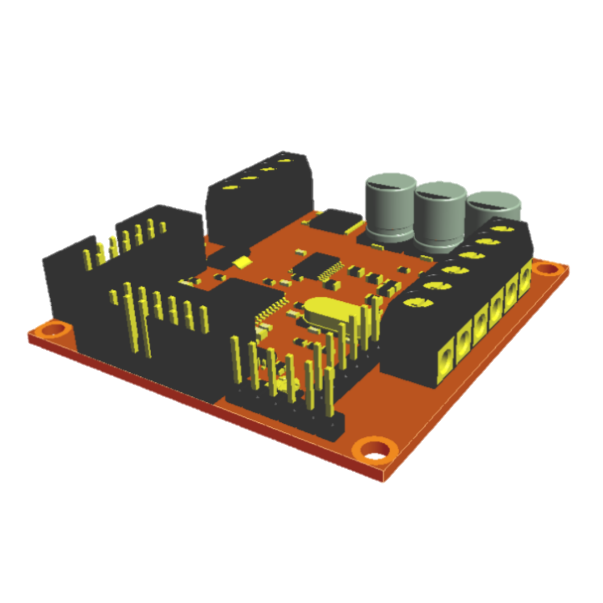 For more information on what’s involved with adding a plugin board or making a modification then click here to find out more. If custom programming and hardware modification have not delivered the flexibility you need then the final option we can offer is full bespoke design. This option gives you by far the most flexibility. You can literally specify whatever you want and we will (within reason!) be able to include it in the design. If bespoke design is seen as the best option for your project then we will work with you initially to develop the specification and provide clear and focused updates as the project progresses. We try and get as involved as we can at the specification stage in order to ensure that you have the opportunity to benefit from our experience. If you’re not 100% sure about a particular feature or option then we can design a carefully staged project to enable options to be assessed as the project develops. Alternatively, if you know exactly what you want and just want a quotation to carry out the work then we can cater for this requirement completely. As always, we would encourage you to get in touch with us to discuss your needs so that we can look to help you. Alternatively, if you’d like to find out more about what we offer in relation to bespoke design, how the process works, or simply to request a quote for a project you have then please you use the links below.